Homo habilis Cranium. Museum Quality Replica. Homo habilis is a species of the genus Homo, which lived from approximately 2.5 million to at least 1.6 million years ago at the beginning of the Pleistocene. The definition of this species is credited to both Mary and Louis Leakey, who found fossils in Tanzania, East Africa, between 1962 and 1964. 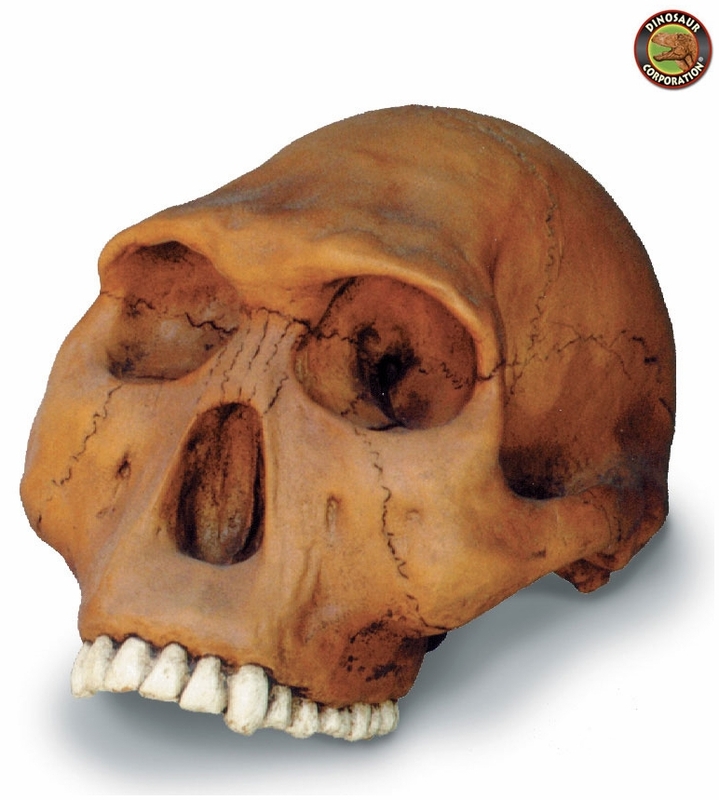 Homo habilis is arguably the first species of the Homo genus to appear. In its appearance and morphology, H. habilis was the least similar to modern humans of all species to be placed in the genus Homo (except possibly Homo rudolfensis). Homo habilis was short and had disproportionately long arms compared to modern humans; however, it had a reduction in the protrusion in the face. It is thought to have descended from a species of australopithecine hominid. Its immediate ancestor may have been the more massive and ape-like Homo rudolfensis. Homo habilis had a cranial capacity slightly less than half of the size of modern humans. Despite the ape-like morphology of the bodies, Homo habilis remains are often accompanied by primitive stone tools (e.g. Olduvai Gorge, Tanzania and Lake Turkana, Kenya). Homo habilis has often been thought to be the ancestor of the lankier and more sophisticated Homo ergaster, which in turn gave rise to the more human-appearing species, Homo erectus. Debates continue over whether Homo habilis is a direct human ancestor, and whether all of the known fossils are properly attributed to the species. However, in 2007, new findings suggest that the two species coexisted and may be separate lineages from a common ancestor instead of Homo erectus being descended from Homo habilis.